The Miss America pageant is just around the corner, and we can’t wait to see who’ll take home this year’s crown! 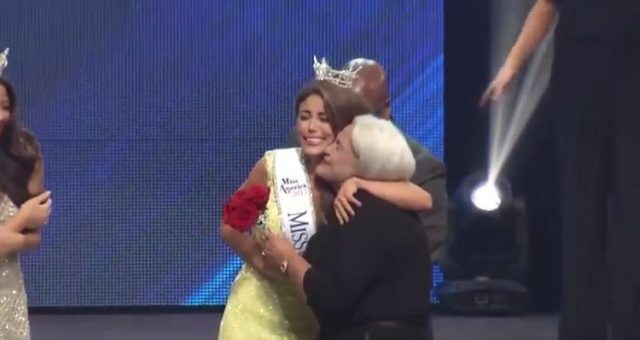 This year will mark the 91st pageant, and the Miss America 2018 contestants will grace the stage in Boardwalk Hall in Atlantic City, New Jersey. Many have already made their Miss America 2018 predictions so keep reading to learn all the details about the big show! Who’s Hosting Miss America 2018? Chris Harrison and Sage Steele will be retuning once again to host this night of pageantry, and they’ll be accompanied by Miss America 2017 and Miss Arkansas 2016, Savvy Shields, who’ll crown her successor. Pageant junkies and even those who aren’t pageant people get swept up in the excitement every year, and this year is no different. As we patiently wait for the preliminaries to be over to see who the winners of the talent, lifestyle, and fitness competitions will be, we couldn’t resist making some predictions of our own. Keep on reading to find out our Miss America 2018 predictions! The official Miss America 2018 date to be aired is September 10, 2017, but naturally, we can’t wait to see the results—so we’re going to predict our own! By no means are we pageant experts, but we know a little bit about each candidate and, like everyone else, we have our favorites. If you’re interested in reading about our predictions for the 2018 Miss America Pageant, here’s our list of girls we think will be top-tier finalists! Jennifer Davis was born and raised in Saint Charles, Missouri, and aspires to be a Physician’s Assistant. She expresses her commitment to the betterment children through many forms, including authoring a children’s book titled “Diversity Matters.” She’s promoted her platform through Missouri with a strong focus on diversity, and has plans to attend graduate school to pursue a career in Pediatric Oncology. Davis has volunteered with a wide array of different organizations, such as CMNH, St. Louis Crisis Nursery, Adopt a Grandparent, Seed to Table, Call to Action Catholic Social Justice Network, and the Human Rights Office. Suzi Roberts began her career in ballet at an extremely young age, moving away from home at the age of 12 to train with prestigious dance companies. She’s competed in a number of international competitions—but her love of ballet didn’t stop her from living the typical college student’s dream of being a cheerleader for her school teams! Roberts has a passion for human rights and protecting those of American children. Using her interest in children’s well-being as a guide for her career, she plans on pursuing a career in law with a focus on children’s issues. Raised on a ranch in Wyoming, Cheyenne Buyert stands by the values she was raised with: loyalty, respect, and hard-work. She has become a young entrepreneur and role model in her state, as she aims to educate those about her autoimmune disorder, Type 1 Diabetes. If she wins the Miss America 2018 title, she plans to work with Children’s Miracle Network Hospitals to bring attention to their important causes. A diligent student, Chelsea Bruce is currently a senior at the University of Delaware where she double majors in Political Science and Economics with a double minor in Legal Studies and Political Communication. 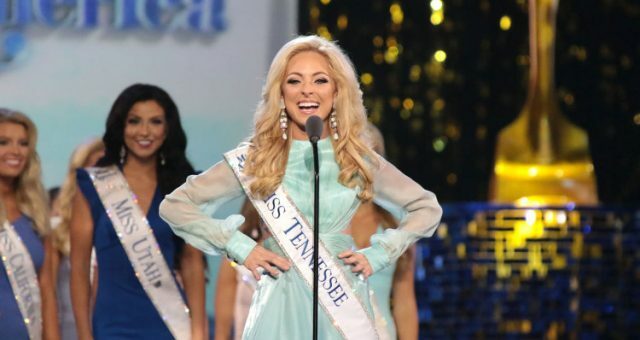 If she wins the pageant, she plans to use her platform to advocate for the mentally ill. She’s previously worked with Active Minds and Mental Health America, and would like to continue her work in promoting the awareness and understanding of the issues surrounding mental health that plague millions of Americans. Who do you think will take the Miss America 2018 title? Leave us a comment and let us know your predictions!